Home › Info › What do we want to see at Plan B? 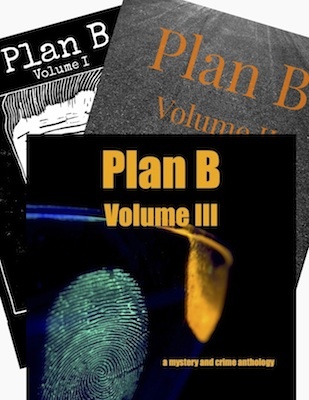 What do we want to see at Plan B? I like classic mystery stories as much as the next person; I can happily get lost in a Philip Marlowe or the Continental Op adventure. However, I’d love to see more stories featuring protagonists who aren’t straight white guys. I’d also like to see stories set in locations other than American cities. This doesn’t mean I won’t print stories with a John Smith detective set in LA. It means I don’t see a lot of the other kinds of stories and I’d love for that to change. There are mysteries everywhere, crime touches all kinds of people. I’d like to see some genre stories reflecting that reality. I enjoy mysteries with a vintage flair. That being said, it’s great if they also have a twist. Maybe if stories featured multicultural characters as the main protagonists, or the setting was outside of a sleek and glossy metropolitan. You bring up an excellent point. I’ll definitely check out the authors you listed. I’d like to submit, but the submission address is crossed out in theSubmission section. What should I do? We’re still closed to submissions. The submissions page will change when we open.